This course begins by introducing you to what Angular JS is, how it works, and why you would use it when creating web sites and web apps. You will look at the Hello World Demo, a simple programming language and usually the first code learned by developers. You will then study the Angular JS modules which are the containers for the different parts of an application. Next, you will study how to use and create controllers, expressions, and custom filters for your application as well as learn what prototypical inheritance is. The course will also cover directives and teach you how to create them. You will learn about routing pages on your application as well as learn how to use URLs to help clean up your application's URL. You will be introduced to the UI Router framework which is available to AngularJS developers for routing. 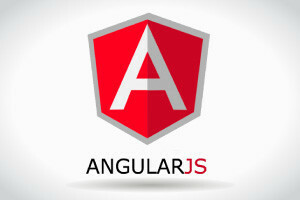 Describe why you would use AngularJS in your website development. Identify what AngularJS modules are. Explain what an angular controller is. Discuss using expressions in your code. Describe how to set filters in your controllers. Identify what a directive is in AngularJS. Discuss creating a custom directive. Discuss routing your application using ngRoute. Describe how to load data from a file into your application. Discuss what factory, provider and services are.